Dubai: His Highness Shaikh Mohammad Bin Rashid Al Maktoum, Vice President and Prime Minister of the UAE and Ruler of Dubai, on Monday inspected a number of development, service and ecotourism projects in Hatta. He issued instructions to accelerate the implementation of service and environmental projects in Hatta, so that the city becomes an attraction for tourism and investment. Shaikh Mohammad highlighted that all amenities of urban life will be provided for Emiratis and expatriate residents. During his inspection tour, Shaikh Mohammad underlined the importance of giving priority to service, eco-friendly and heritage projects to preserve the UAE’s national heritage and cultural legacy, which symbolise the national identity. 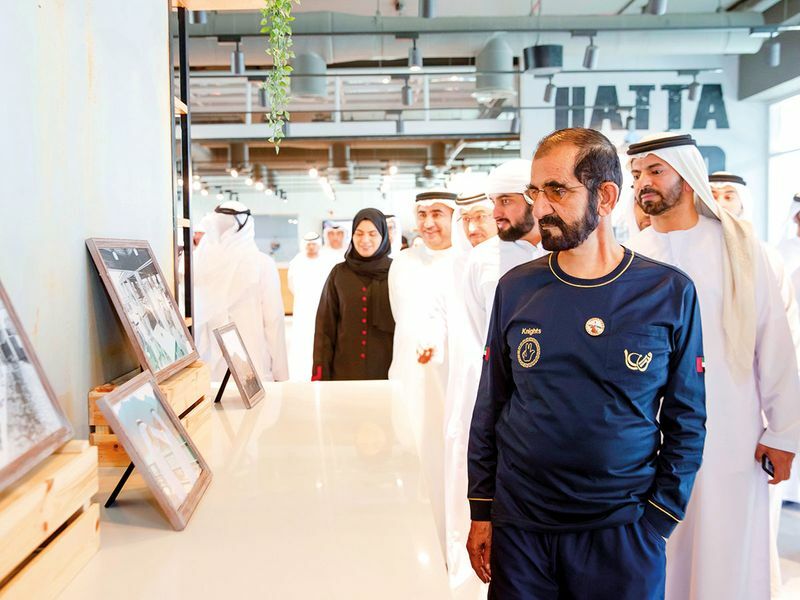 On the first leg of his tour, Shaikh Mohammad, accompanied by Shaikh Ahmad Bin Mohammad Bin Rashid Al Maktoum, Chairman of the Mohammad Bin Rashid Al Maktoum Foundation, visited Wadi Hub in Hatta. Hatta is a city known for its beautiful scenery — mountains, valleys, farms and dams. The development of ecotourism, heritage and service projects reflects the wise leadership’s vision for creating economic opportunities for young people, local businesses and entrepreneurs in Hatta. Upon his arrival at Wadi hub, Shaikh Mohammad was received by Major-General Abdullah Khalifa Al Marri, Commander-in-Chief of Dubai Police, Eng. Dawood Abdul Rahman Al Hajiri, Director of Dubai Municipality, and a number of senior officials and top police officers. He inspected the progress of work on the development projects of Wadi Hub, Hatta Safari, Wadi Leem, Wadi Suhaila, Hatta Falaj, among other projects implemented by Dubai Municipality in collaboration with Meraas Holding. Developed by Meraas, the Hatta Wadi Hub includes a lounge, cafe, safari tents, and a camp designated for students. Shaikh Mohammad then visited the Hatta Safari site where he was briefed on the project, which will comprise man-made lakes, wild animals and birds, camping areas featuring tents and caravans for night stopovers, and vast green spaces. Shaikh Mohammad was updated by Eng. Alia Abdul Rahim Al Harmoudi, Director of Environment at Dubai Municipality, on the ecotourism projects that aim to develop the environmental landscape and preserve historical heritage in Hatta. He was also informed about the capabilities of Dubai Police, who provide modern vehicles and equipment, technologies and highly trained human cadres in rescue operations. 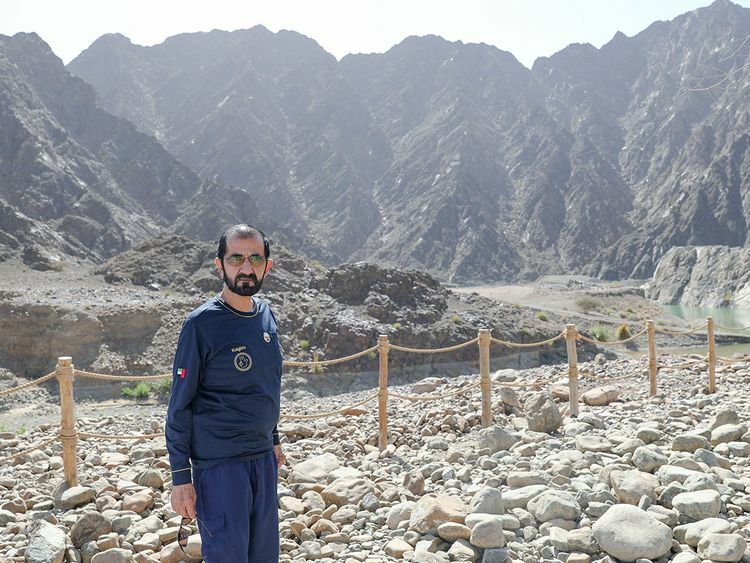 Shaikh Mohammad was briefed on the efforts by police patrols deployed in mountainous areas to help ensure the safety of tourists and visitors to Hatta. Shaikh Mohammad updated himself on ambulance services provided to tourists, as well as the role Dubai Design Council plays in organising training courses and workshops for women in Hatta to help sharpen their talents and develop their handicrafts, and how to promote and market their products through social media channels.